Experience the musical energy of America's greatest dance craze. During the first years of the 20th century the scandalous new rhythms of ragtime drove the nation dancing mad with the turkey trot, the camel walk, blues, one step, foxtrot. And from Buenos Aires came the steamiest dance of all — the tango! These infectious melodies are played from original scores by Spare Parts, one of the country's foremost ragtime dance ensembles. Spare Parts researches and performs dance music from several eras. Fiddler Ruthie Dornfeld joins Liz Stell (flute) and Bill Matthiesen (piano). This recording includes two solo piano rags plus five tangos and a sampler of other ragtime dances. Musical variety, historically accurate tempos, danceable tune lengths and wonderful energy make this CD perfect for dance workshops as well as toe-tapping listening. Published in Argentina, our copy of the music is stamped "Vendu par Salabert, 22 Rue Chanchatt, Paris." By this date the tango was well established in the French capital, though only recently arrived on American shores, and still not danced by polite society in its native country. Chorus: "When Uncle Sam calls out your man, don't sigh and cry; because you know he can't refuse. To dress in black can't bring him back. Just say you've got those draftin' blues." If this sounds fast for a modern foxtrot, it's because the ragtime dance named for the performer Harry Fox was more energetic than the current dance of the same name created in the 1920s. This American tango sounds different from its Argentine counterparts here, a bit sweeter but still with a touch of melancholy. We're indebted to musicologist John Hasse for a xerox of the only known copy of this tune. His wonderful book "Ragtime, Its History, Music and Composers" is a must-read. Another Fox Trot of the brisk variety, with musical overtones reminiscent of a French sidewalk cafe. Flute and violin appeared together in most of the early tango combos, often with piano. The three blend wonderfully for this bittersweet World War I melody dedicated to the Belgian Red Cross. Best remembered for "Dill Pickles Rag," Johnson was one of the white pioneers of ragtime and one of its most financially successful composers, writing hundreds of tunes. Named for the special section of a noted cabaret, "Armenonville," which offered two guaranteed attractions to Buenos Aires' youth — champagne and tangos. Listen for the bubbles! A traveling musician with a phenomenal memory, Handy captured fragments of a new Afro-American musical genre — the blues. He then presented these to America in dozens of compositions. Initially swindled out of the rights to his first composition, "Memphis Blues," his next tune, "St. Louis Blues," became even more successful. Oh no! The cowboy's tied to the railroad tracks. Will the handsome heroine rescue him in time??? (David Guion is often credited with composing the music to "Home on the Range"). A beautiful five-step waltz (5/4 time) created for America's apple-pie dance couple of the teens, Vernon and Irene Castle. 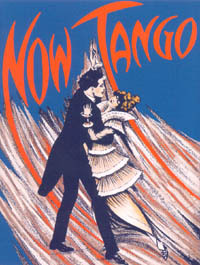 The enduring epitome of the tango by one of the genre's earliest and most prolific composers. Angel Villoldo, a guitarist, pianist and singer, travelled to Paris in 1905 to make many of the first tango recordings. A good friend of Scott Joplin, self-taught Turpin's playing was the standard by which all others were judged during cutting contests. Turpin's "Rosebud Cafe" was the rendezvous for pianists from across the country during the 1904 St. Louis World's Fair. This waltz has one foot in the ragtime era and the other in the roaring twenties. Chorus: "Come back to me, come back to me, when they throw you down. Come back to me, come back to me, though you may be the laugh of the town. Say, listen hon — when you are done having fun in your way, bear in mind, you'll always find a welcome at my doorway. Go have your fling, see ev'rything, and go through the mill. But when the gang don't give a hang, I'm here for you still. And when they turn away and say that you, that you are through, your come back will be when you come back to me."